You are here: Home / Hardware / Can You Still Buy Toshiba Laptop in Canada? This is not a sponsored post but more of unraveling the mystery if you can still buy Toshiba laptop in Canada. Whichever tech store I visit, I can’t help but look for a Toshiba laptop. All I see are laptop brands of HP, Microsoft, Acer, Dell, Mac, Asus, and ThinkPad. “We don’t have it here.” The staff seems clueless all the time. Where are they hiding the Toshiba laptop? Is it obsolete? How about you, have you spotted any Toshiba laptop other than yours? So where is this nostalgia of a brand’s product coming from anyway? Five years ago I had my first laptop: Toshiba Satellite L745D. It’s cost more than $300.00 CAD with all the essentials included: MS Office and system backup which I never used. It’s been a long journey for both of us and it will keep on going. I’ve written hundreds of blog posts. Inflicted my website with the “white screen of death” and fix it over the weekends. And so much more of things to build and break. Or break and build. I’m saying this to emphasize the importance of buying a quality product. It was a fluke that I chose the Toshiba laptop from among the other equally tempting gadgets in the eyes of a geek gal like me. Even the price didn’t hurt my eyes because I know the money spent is all worth it. That is if you choose the right one. And here’s a quick guide. These qualities are all based on using the same laptop for years. And more years to come. Take the laptop with you anywhere regardless of the weather. More room for upgrade (additional memory). Save cash with software already included in the package (e.g. MS Office) which is not a free trial. Durability that will last till you save up and buy the next generation of laptop, say ten years from now. So it’s not an ultimate guide. It shouldn’t be anyway. In fact, you should buy the laptop that suits your need and budget. Don’t force yourself in buying the high-end laptop everyone is talking about when the features are too much and it will cost you an arm and a leg. Most of the time I often visit Best Buy, Staples, and Memory Express. But I cannot find any Toshiba laptop in the stores. If you can’t find it. Google it. And there they are hiding in the cyberspace. You can still buy online the Toshiba laptop in Canada. The specification and look of the laptops have definitely caught my attention . . . so is the price. At $850.00, the Toshiba Satellite Pro is the cheapest laptop among the bunch with Windows. If you don’t mind using a Chrome OS laptop, then Toshiba Chromebook at $490.00 will fit your budget. How about you? 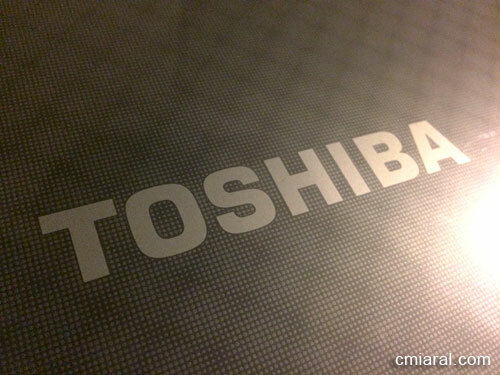 Did you buy a Toshiba laptop online or have you seen any? Tip: Ink cartridge in Memory Express is cheaper than any other stores. Although the XL ink cartridge is more expensive than the regular, the XL will last longer, saving you more bucks in the long run. Upgraded the memory which I bought in Memory Express. Opened the laptop to get the hard drive. I’m amazed how clean it is but I was nervous with all the wires I might not be able to attach again. Photographs helped ease my mind. Backed up the hard drive with and external 2.5 hard drive enclosure. Buy an affordable enclosure since you’ll only use it once. Mine ended up in the bin of peripherals. Reset Toshiba laptop to factory setting after the back up. Removed the battery and never replaced it. It’s fine to use the power cord so why spend $50.00 or more for a li-ion battery pack. With all the upgrade and cleaned hard drive, my Toshiba laptop seems tougher that it could last another five years. If you have any suggestion of any changes I can do with my laptop, don’t forget to leave a comment. Will I Buy Another Toshiba Laptop? I never thought of buying a laptop anytime soon. But if I will, I’ll look for a lighter Toshiba laptop or a brand that fits my whims: bluetooth, HDMI, Intel processor, etc. You get it. I don’t want a fancy laptop. The most important factors I would consider are portability and the speed. My back and backpack can attest how heavy is my laptop. How are you doing lower back? When it comes to durability, I vouch for Toshiba and so are the others I’ve read online who are still using their old laptop. Reset to factory setting your old laptop to clear up all the unused files and trash lurking in the hard drive. With proper care, any laptop can last longer than expected. That leaves me wondering when will my laptop kick the bucket? It probably wouldn’t since I’m using my Acer Aspire X most of the time. I’m glad to know that Toshiba laptops are not obsolete. Mystery solved. I hope to see them in tech stores again. So why did they remove the Toshiba laptop in tech stores anyway? Hmmm . . . another mystery. How old is your laptop so far? What brand are you planning to buy the next time you need a laptop?